The international crude oil price of Indian Basket as computed/published today by Petroleum Planning and Analysis Cell (PPAC) under the Ministry of Petroleum and Natural Gas was US$ 50.53 per barrel (bbl) on 21.03.2017. This was higher than the price of US$ 50.39 per bbl on previous publishing day of 20.03.2017. 1. Crude oil production during February, 2017 was 2797.26 TMT which is 5.37% lower than target and 3.40% lower when compared with February 2016. Cumulative crude oil production during April, 2016 - February, 2017 was 32918 TMT which is 2.58% and 2.84% lower than target and production during corresponding period of last year respectively. Unit-wise and state-wise crude oil production is given at Annexure-I. Unit-wise crude oil production for the month of February, 2017 and cumulatively for the period April, 2016 - February, 2017 vis-à-vis same period of last year has been shown in Table-1 and month-wise in Figure-1. Ø Delay in deployment of MOPU-Sagar Samrat. Ø Delay in implementation of “Development of Western Periphery of MHS (ZC)” Project. Ø Natural decline in matured fields of Western Offshore. Ø GEB Power shutdown in Ahmedabad and Mehsana. Ø Ceasure of wells in North Kadi & Laghnaj fields and closure of high water cut wells. Ø Assam: ASEB power shutdown. 1.2 Crude oil production by OIL during February, 2017 was 260.32 TMT which is 13.45% lower than monthly target but 5.73% higher than production in February, 2016. Cumulative crude oil production by OIL during April, 2016 - February, 2017 was 2964.83 TMT which is 5.45% lower than target for the period but 0.26% higher than production during corresponding period of last year. Shortfall in production was mainly due to less than planned contribution from high producing areas like Greater Hapjan, Shalmari and Moran fields primarily on account of rise in water cut. 2 Natural gas production during February, 2017 was 2522.54 MMSCM which is 9.95% lower than the target for the month and 1.66% lower when compared with February, 2016. Cumulative natural gas production during April, 2016 - February, 2017 was 29146.41 MMSCM which is 5.99% lower than target for the period and 1.90% lower than the production during corresponding period of last year. Unit-wise and state-wise natural gas production is given at Annexure-II. Unit-wise natural gas production for the month of February, 2017 and cumulatively for the period April, 2016 -February, 2017 vis-à-vis same period of last year has been shown in Table-2 and month-wise in Figure-2. 2.2 Natural gas production by OIL during February, 2017 was 225.18 MMSCM which is 6.37% higher than the monthly target and 3.07% higher than February, 2016. Cumulative natural gas production by OIL during April, 2016 - February, 2017 was 2685.53 MMSCM which is 0.78% lower than the cumulative target but 3.92% higher than the production during the corresponding period of last year. Ø Underperformance of Sohagpur West CBM block, closure of few wells for maintenance in Raniganj East CBM block. 3 Refinery production during February, 2017 was 19050.04 TMT which is 1.15% higher than the target for the month but 2.33% lower when compared with February, 2016. Cumulative production during April, 2016-February, 2017 was 224055 TMT which is 1.89% higher than the target for the period and 5.95% higher than the production during corresponding period of last year. Unit-wise production is given at Annexure-III. Company-wise production for the month of February, 2017 and cumulatively for the period April, 2016 - February, 2017 vis-à-vis same period of last year has been shown in Table-3 and month-wise in Figure-3. v IOCL, Paradip: Throughput is lower due to coke upliftment issue. v IOCL, Haldia: Throughput is lower due to VGO stock build-up. 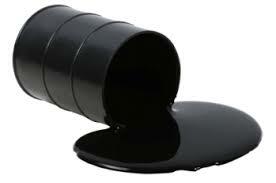 v IOCL, Digboi / Guwahati: Lower availability of Assam crude. v BPCL, Kochi: DHDT was run at a lower charge due to non-availability of hydrogen from BOO and Build-up of VGO. v CPCL, Manali: Deferred shutdown of Manali Refinery due to OHCU shutdown. v CPCL, CBR: Evacuation constraints in CBR refinery. v MRPL, Mangalore: Throughput lower due to shutdown taken in CDU -1 to repair heater coil supports. 3.2 Production in JV refineries during February, 2017 was 1315.90 TMT which is 5.78% higher than the target for the month and 9.49% higher than the production achieved in the corresponding month of last year. Cumulative production by JVs refineries during April, 2016 - February, 2017 was 15532.79 TMT which is 10.54% higher than the target for the period but marginally lower (0.05%) than the production during corresponding period of last year. 3.3 Production in private refineries during February, 2017 was 7007.80 TMT which is 3.18% lower than the target for the month and 3.16% lower when compared with February, 2016. Cumulative production by private refineries during April, 2016 - February, 2017 was 83267.41 TMT which is 1.43% higher than the target for the period and 3.05% higher than the production during corresponding period of last year. 3.4 Refinery-wise details of the capacity utilization and production of petroleum products during the month of February, 2017 and cumulatively for the period April, 2016 - February, 2017 vis-à-vis April, 2015 - February, 2016 are given at Annexures-IV and V respectively. Minister of State (I/C) for Petroleum and Natural Gas, Shri Dharmendra Pradhan, along with Minister of State (I/C) for Commerce and Industry, Smt Nirmala Sitharaman and Minister of State for Road Transport and Highways ,Shri Pon. Radhakrishnan met with a delegation from Neduvasal village, Tamil Nadu today. All the three Ministers assured the delegation that Government will not carry out any E&P activities without addressing all concerns and taking onboard the local villagers, State Government and all other relevant stakeholders. It was decided that dialogue would continue with local people with the involvement of Officials from Ministry of Petroleum and Natural Gas , Directorate General Hydrocarbons, ONGC, State Government and Local Authorities to dispel all apprehensions of the local people of Neduvasal village. The Ministers had heard the concerns of the delegation regarding the possible adverse impact of E&P activities on DSF Neduvasal Block in Pudukkottai district of Tamil Nadu. Detailed deliberations were held on the likely impact of E&P activities on agriculture, ground water, local habitation and environment. Referring to the concerns about the impact of the project, the Officials from Ministry of Petroleum and Natural Gas, Directorate General of Hydrocarbons & ONGC explained that the extraction of oil and gas from sub-surface is a well-established practice and the drilling and production processes require very limited surface area and would not affect agriculture. Further, it was informed that E& P activity is carried out only after an independent Environment Impact Assessment. It was also clarified that the Oil and gas extraction carried out from deep-earth does not affect ground water aquifers, which are located at much shallower levels. Hydrocarbon extraction is carried out worldwide and has had no direct impact on water resources in the mining area. Other concerns about adverse environmental impact on nearby areas are misplaced as all such operations require prior pollution control and environmental clearances. Further, public hearings are also an integral part of the process of obtaining the clearances.